Every morning you are handed 24 golden hours. They are one of the few things in this world that you get free of charge. If you had all the money in the world, you couldn't buy an extra hour. 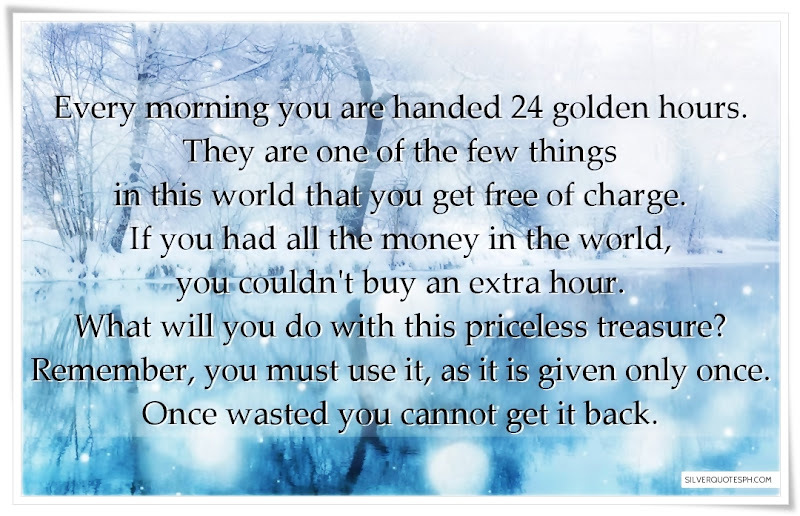 What will you do with this priceless treasure? Remember, you must use it, as it is given only once. Once wasted you cannot get it back.